Spring and summer are wonderful seasons to spend some quality time in the garden and in nature. You may find yourself wanting to build a quality wood shed, pavilion or cabin to enhance your property value and provide a great place to relax and become in touch with mother nature. BZB Cabins has the best ideas and options for wooden outdoor structures. BZB Cabins also provides some tips about how to design the new building to give it multiple uses and purposes that may become useful in the future. At first, the use of a shed or cabin can be quite singular. It may start as just a place to have a planned hangout or similar, but after a while you may find that it is very nice to get some work from the office done in the sanctity of a peaceful shed or cabin. In this situation, you will find yourself glad that you have chosen to have a home-like structure with two large windows peering out into nature, giving you the atmosphere of being outside while working inside. 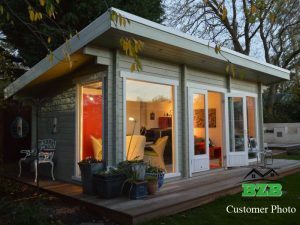 That is just one example of how beneficial building a cabin, pavilion or shed from BZB Cabins can be. 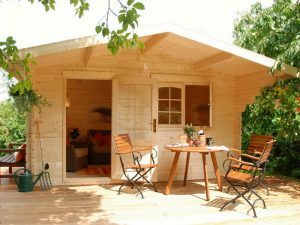 Let’s discuss a list of the ten best reasons of having outdoor buildings like sheds, cabins or even a saunas in your backyard. A cabin is a peaceful place to do work. Every home office should always be, as far away as possible from everyday distractions of the family; whether it be the kids playing loudly or perhaps a salesman who is incessantly ringing your doorbell. If you find a place to work that is peaceful, you can create a quiet and relaxing work atmosphere to complete your work at a most efficient level. Not to mention, while working you will be completely relaxed and creatively motivated from being surrounded with precious garden views. A cabin is an ideal center for entertaining. 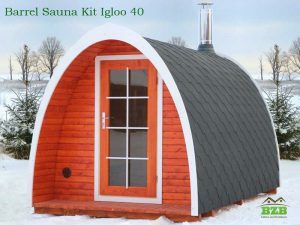 Whether you are using your cabin kit for gardening purposes, office purposes, or anything else: having friends and family join you in your cabin is always a wonderful experience: whether in the depths of winter or the heat of summer. It’s great to have a choice of whether to entertain indoors or outdoors. In a pavilion, cabin or shed you can store food and drinks, napkins and even dishware. You could also add a sink in your garden structure for hand washing. A cabin is a great place to play music and enjoy time with those who are close to you. This structure makes organizing every party exciting! Create a teenaged-getaway to reduce tension with the older children. Teenagers often want to spend their time as far away from parents as possible, even if they are not of age to be completely independent. Having a cabin in the garden can create a space for the teenagers to be independent but still within close enough distance to be safe. The teen can even design the space to suit his own needs as if living on his own. The teen can enjoy the privacy without fear of parental intervention at any moment. A Cabin or shed can be used as a workshop. Although you can have a workshop in a garage, it is not the ideal space, especially when a spacious wooden cabin or shed option is available. This space can offer several advantages including a large, one or two-sided, door that allows you to easily bring large tools, projects and machines in and out. The large door(s) also allow for great ventilation which can come in handy if you produce any dust, steam or smoke. This is a great example of an intended use: a space to hold tools and a space to work on projects that use those tools! Your Cabin is an ideal space for rest and relaxation! The garden structure is not only an indispensable dry and secure storage room for gardening and other tools, but it is suitable as a complete shelter. Whether the sun be pouring in through the windows, or on the small terrace, you can sit and relax with a cup of tea in hand- prepared on your cabin’s stove- and enjoy the fruits of your labor. Use your Garden-Guest House for personal or commercial purposes. The garden based guest house with a sink and shower, elementary heating and a couple of beds can take away the worry after a party with friends. Be the hero of your neighborhood and provide your friends with a safe, convenient place to stay. The guest house also offers a way to secure some extra passive income by renting it out. You can use the internet or even airbnb to rent out your garden guest house quickly and easily and become familiar with great guests. Meditation, yoga, and relaxation in a wooden cabin with a beautiful, lush garden view. A cabin kit is the ideal place for regular meditation. Many start practicing yoga or meditation because it is good for health and inner peace. It makes you more alert and aware and improves self control. One of BZB cabin kit’s with its windows overlooking the greenery, is an ideal place for spiritual exercises that not only keep you motivated, but also puts you in awe at your commitment to a daily routine. This will improve your daily life immensely. BZB pavilions are like decorations to any backyard. Stylishly furnished, picturesque buildings in the garden can be the best spot for a studio of writers, poets, sculptors and other artists. Not only can you find inspiration and creativity there, but also you can welcome creative guests to have an afternoon tea, or organize artistic events. Garden structures offer additional essential storage space. After years and years of buying items, furniture, all kinds of equipment and other things, many households have a flood of stuff. More decent items that work perfectly are not thrown away, but kept and saved for long periods of time. Cabins can offer a safe place to store these items. This way they can be kept in great condition for future use, or perhaps for your next yard sale. Increase your property value: Multipurpose use! BZB cabin kits – saunas, log structures or garden pavilions – represent opportunity. These buildings provide additional space for the family. Whether or not the building has a definite purpose is up to you, however, if you don’t live in a huge 20 room, 3-bathroom palace, you can welcome some extra space that can be further developed to offer additional opportunities and improve the quality of your life. Whether you use it as a meditation space, guest house, office or any other purpose, a garden structure is an amazing investment that will pay off in the form of extra space and increased property value. These were the top ten common reasons for adding a garden structure onto your property. However, usage depends on the family and their need. Although you may think that adding a garden structure like a gorgeous wood cabin may be pricy or cause distress, that is far from the case. These beautiful structures are affordable and ready for your home now. They keep the kids happy, entertain the adults and of course, provide you a more enriching life. Check out BZB Cabins today to find out how you can get yours!